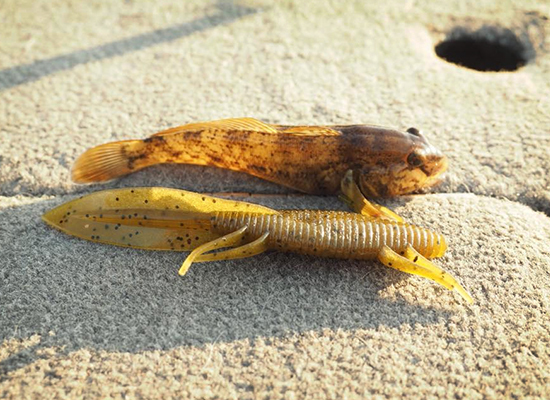 For many American anglers, the growth of their fishing passion is an organic process. Whether introduced to the sport by fathers, grandfathers, summer camps, boy scouts, or any of the other innumerable ways - Americans are lucky in that we have almost as many paths into the sport as we have acres of fish-filled water. 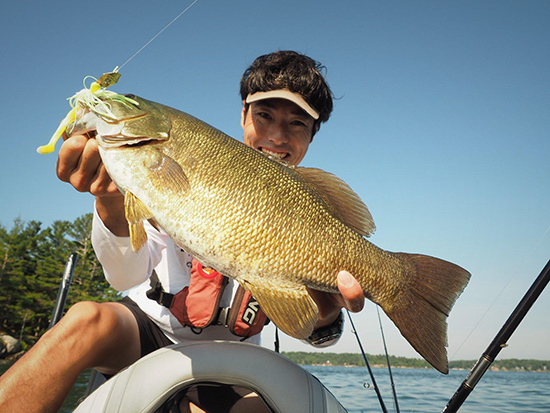 For Japanese anglers, the path to freshwater fishing is much more difficult. There are far fewer lakes, a much denser population, stringent rules on public access, and a federal government that recently declared the largemouth bass an invasive species that needs to be eradicated. Those factors didn’t stop Yamamoto staffer Wataru Iwahori from developing that passion just as strongly as any stateside angler - and a single bass he caught when he was 15 years old ignited a passion that has taken him on a journey that recently landed him the Co-angler Angler of the Year on the FLW’s Northern Costa series. With tournaments on Lake Erie, Lake Champlain, and 1,000 islands, the 2018 Northern Costa series set up as a smallmouth dominating circuit, so it’s no surprise that the drop-shot was key to his 4th place finish at 1,000 Islands – which iced his AOY crown. Although he caught fish on a chatterbait and a spybait in the tournament – it was a drop shot that sealed the deal on day 3, bringing in a day best 17-1. It was the third heaviest weight overall on the final day, and it was enough to move him from 10th to 4th – solidifying the AOY win. Iwahori’s drop shot setup was fairly simple. He used a 7 foot JDM version Gamakatsu rod, an Abu Garcia Revo MGX spinning reel spooled with 14 pound Berkley Vanish Revolution, and a ½ ounce drop shot weight. On the business end, he used either a Yamamoto Shad Shaped Worm, or the Yamamoto Sanshuo, which does an excellent job imitating the invasive round goby – something he’d figured out in practice with his traveling partner, Gary Yamamoto. The Yamamoto Sanshouo salamander is a spot-on goby imitator. For Iwahori, the AOY crown has been a long time coming. Living in Japan, it’s not easy for young anglers to get to the states and compete. Prior to this year, he fished the FLW tour as a co-angler in 2013 and 2017 and had some successes, but being able to actually win AOY, as well as finish inside the top-10 in all three events is something he hopes will be able to allow him to keep fishing in the states, as well as jump over to the pro side.